The Oregon Health & Science University (OHSU) Knight Cancer Institute is a matrix cancer center at OHSU in Portland, Oregon. 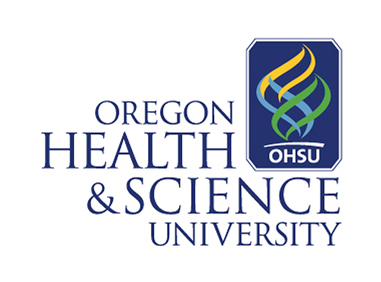 OHSU is the only health sciences academic center in the state of Oregon, and since the OHSU Knight Cancer Institute was founded, the University Hospital has been consistently ranked as the most preferred for cancer care in Oregon and Southwest Washington. The resources of the University, the University Hospitals and Clinics, and the adjacently located Portland VA Medical Center provide an exceptional opportunity for basic, clinical, and population based cancer research in the largest metropolitan region of our state. Because half of the population of Oregon and Southwest Washington is located in rural communities, the Institute is also committed to the development of effective programs of cancer education and control in rural settings. The members of the OHSU Knight Cancer Institute seek to develop innovative, effective, and well-tolerated strategies for cancer prevention, treatment, diagnosis, and control by applying new discoveries in cancer cell biology and molecular genetics. The Institute administration, its shared resources and programs promote, support, facilitate, and coordinate interdepartmental research focused on the development of innovative approaches for dealing with the problem of cancer. Eight shared resources of the Institute support the interdisciplinary translation of laboratory results into new strategies for prevention, screening, diagnosis, and therapy throughout the university. Emblematic of our commitment to translate discoveries into patient care advances, many members of the Institute lead multi-institutional translational clinical trials both within and outside of federally funded cancer study groups, and we have developed a well-funded phase I studies unit in our pediatric oncology program. Members of our Institute have recently led the development and delivery of molecularly targeted therapeutic agents that have now become standards of care worldwide.